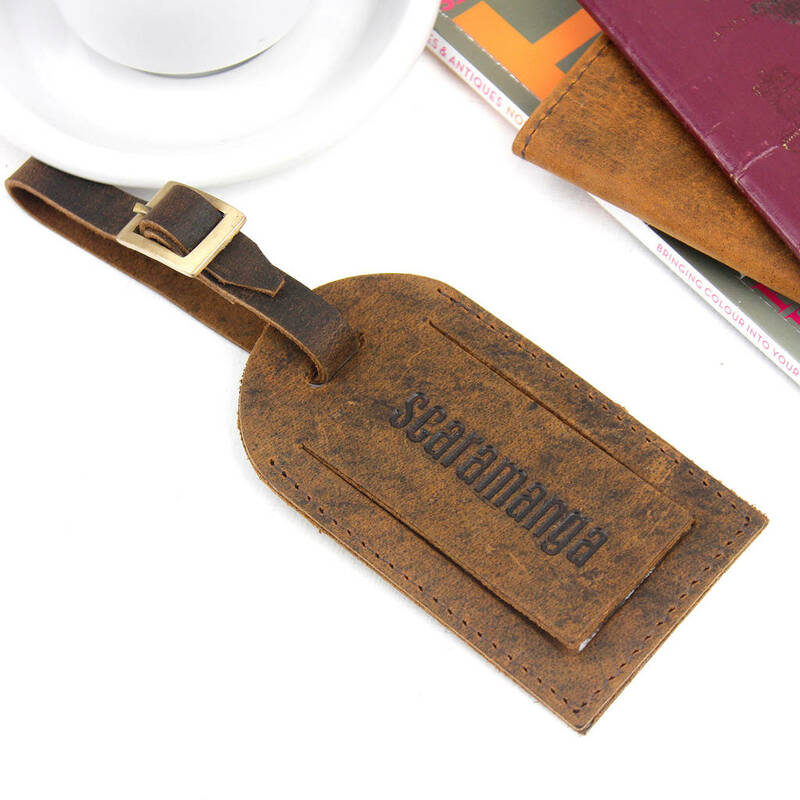 This simple leather luggage tag will add style and sophistication to your luggage, not to mention, make it easier to spot on the carousel! 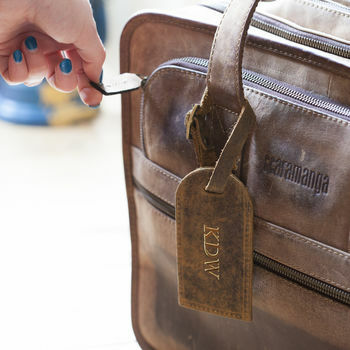 It has a snap button which securely attaches it to your luggage, so it won't come off easily. 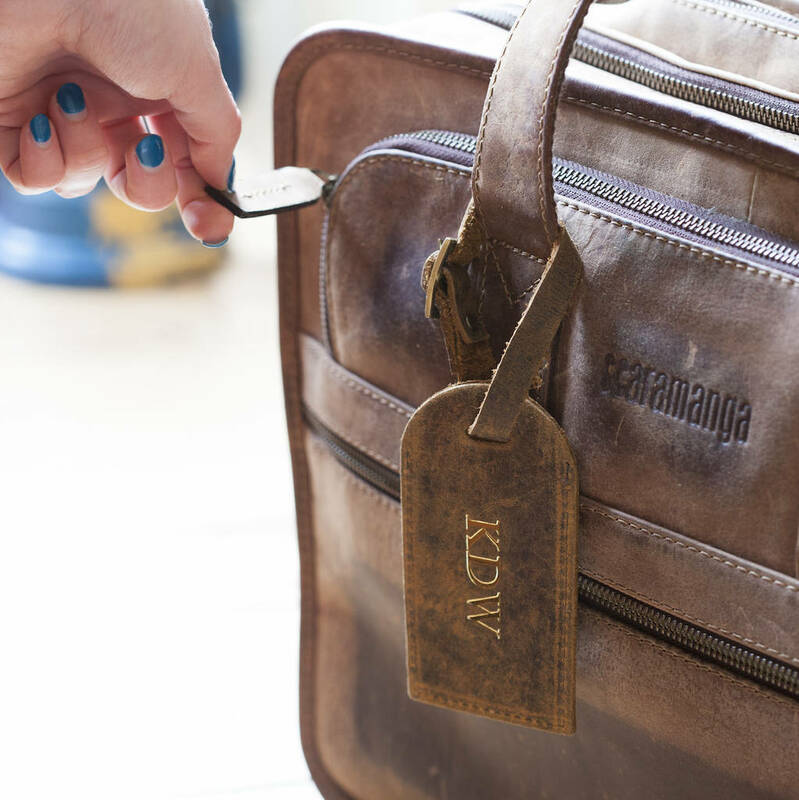 Make it a personalised luggage tag as a gift for someone special, with a special date or their initials. 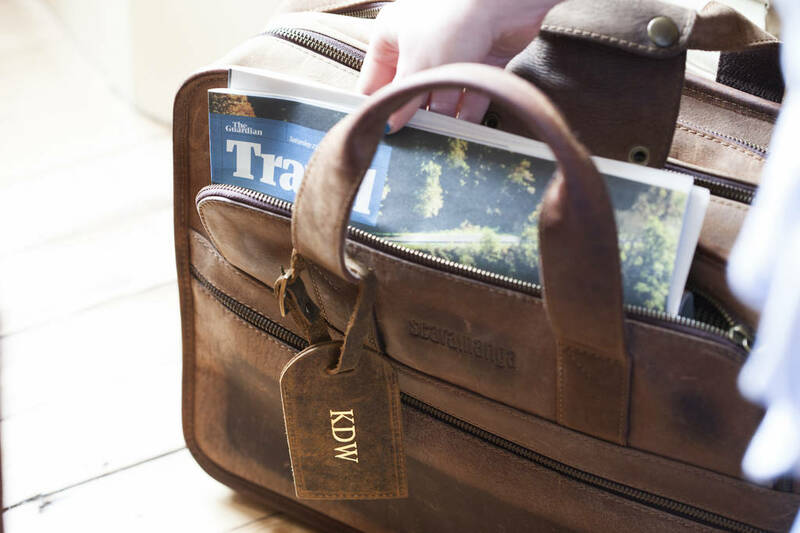 It really is the perfect gift for the stylish traveller! 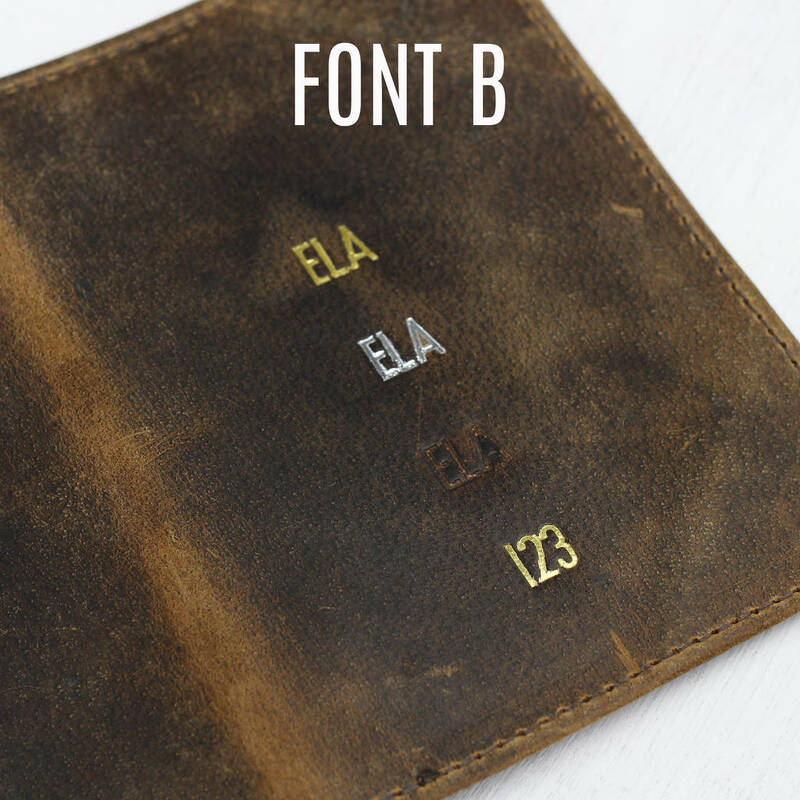 EMBOSSING: There are 2 fonts available, and you can choose from GOLD, SILVER or BLIND embossing. 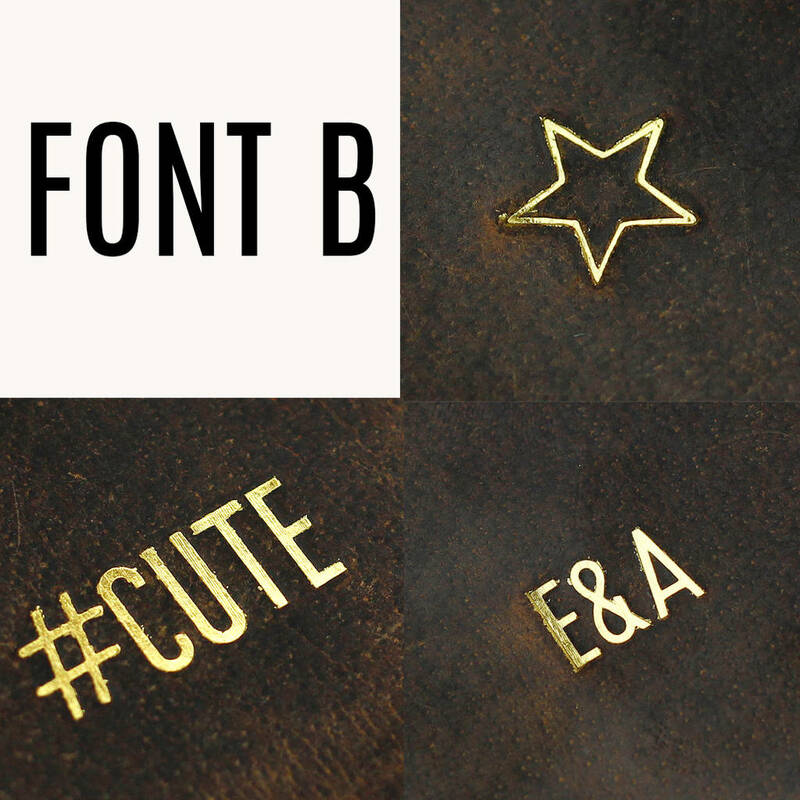 B) Font B – a contemporary font, max 15 characters. 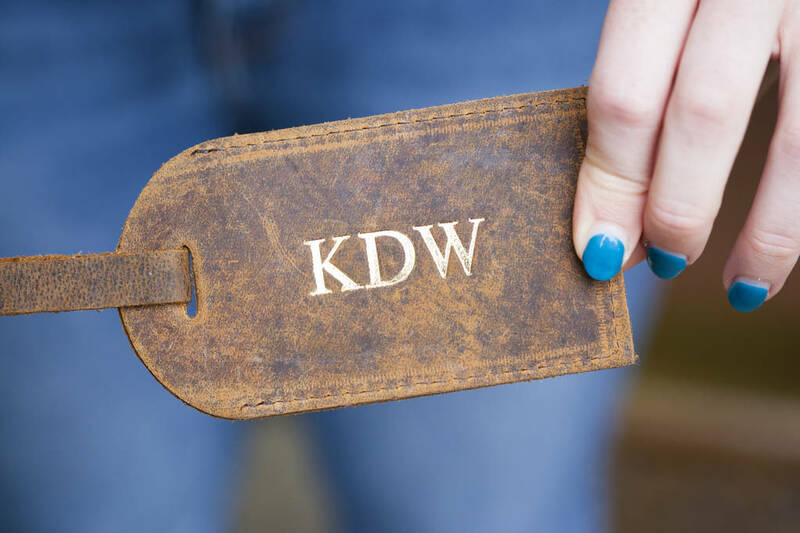 Can also include numbers or a special star, hashtag or ampersand character. 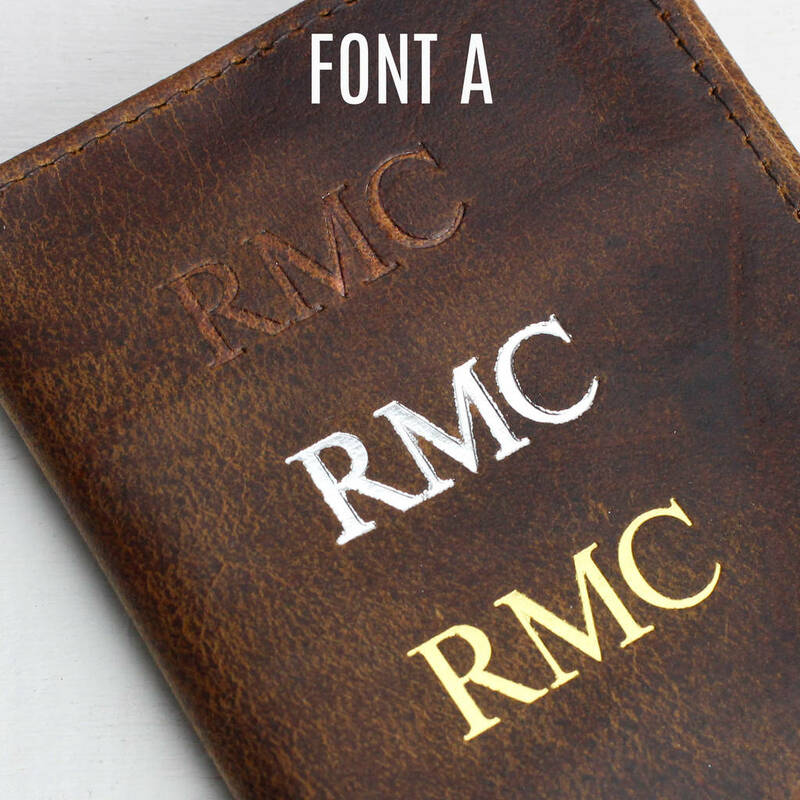 We also offer a number of symbols that can be embossed for an additional £5. 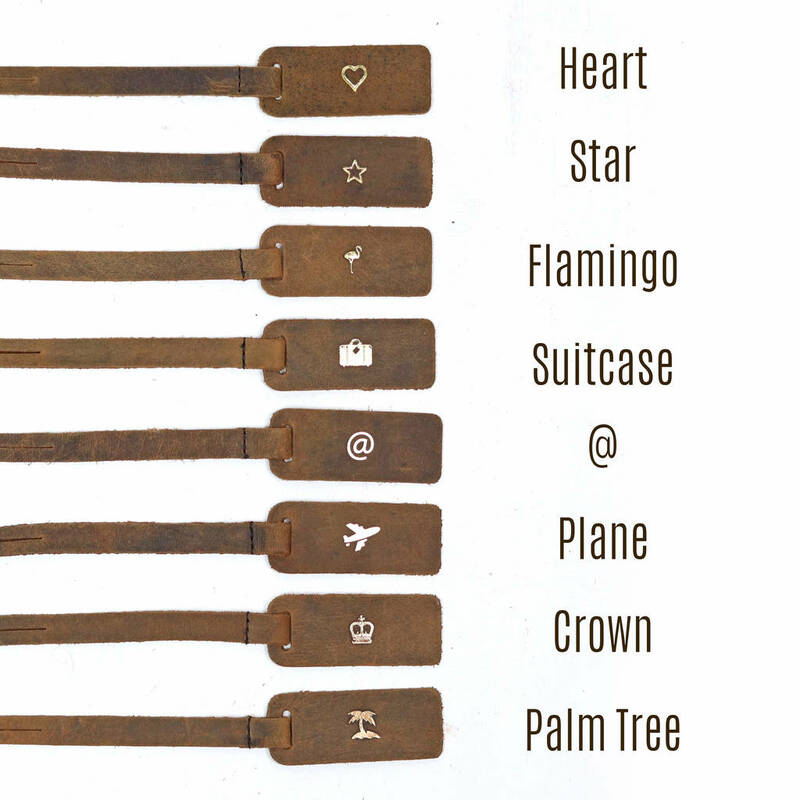 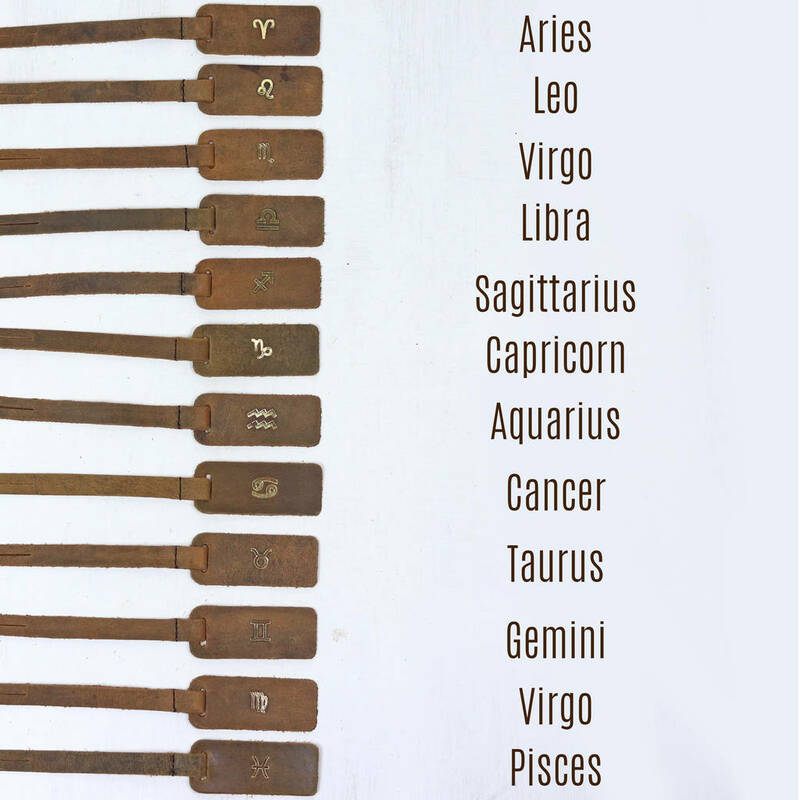 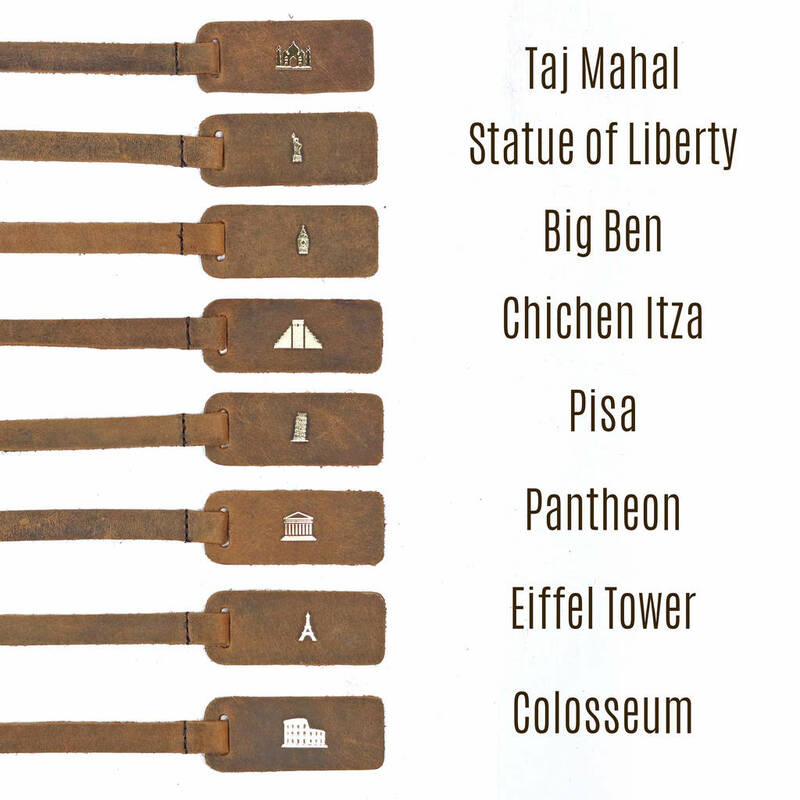 These symbols are listed in the embossing options and can be viewed in the image reel. 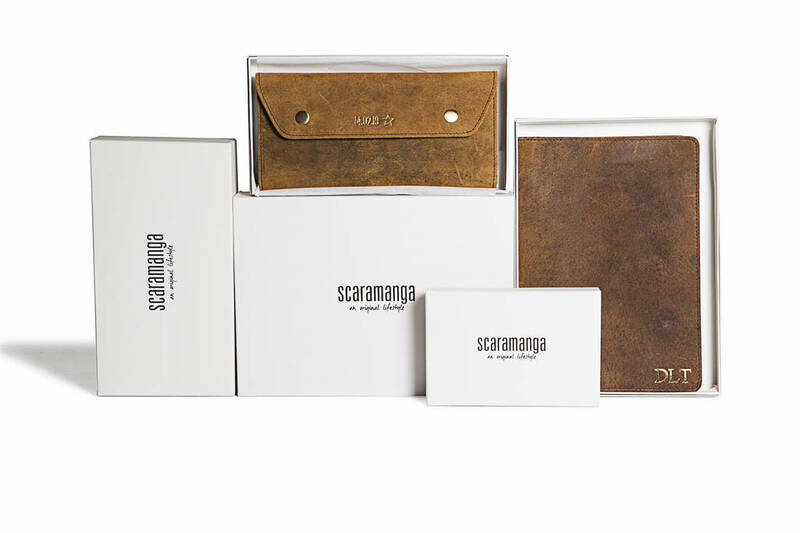 This product is dispatched to you by Scaramanga.